US Marine Corps/Lance Cpl. Cody J. OhiraUS Marines assigned to Alpha Battery, 2nd Low Altitude Air Defence Battalion, fire an M240B machine gun during a live-fire range as part of exercise Arctic Edge on Joint Base Elmendorf-Richardson, Alaska, March 1, 2018. 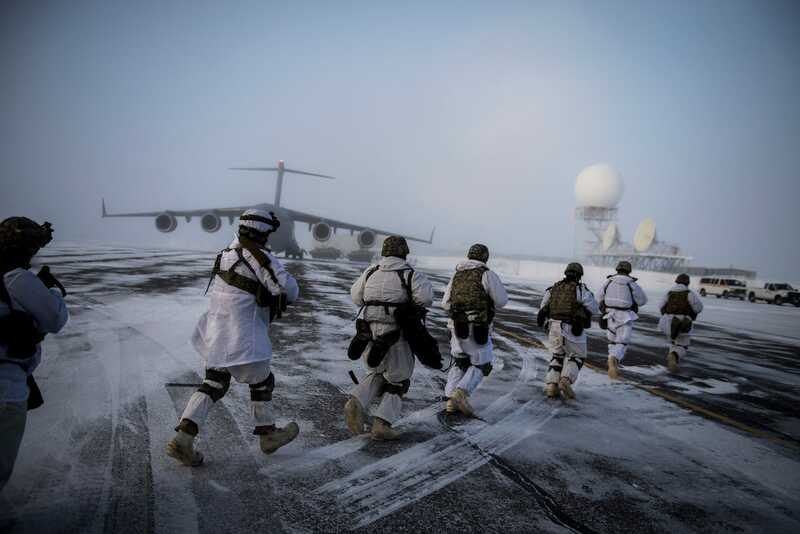 As the US military’s attention shifts back to great-power competition, particular focus is being paid to the potential for conflict in the extreme conditions found at northern latitudes and higher elevations. Late last year, Marine Corps Commandant Gen. Robert Neller cautioned Marines stationed in Norway that he saw a “big-arse fight” looming and urged them to prepare. 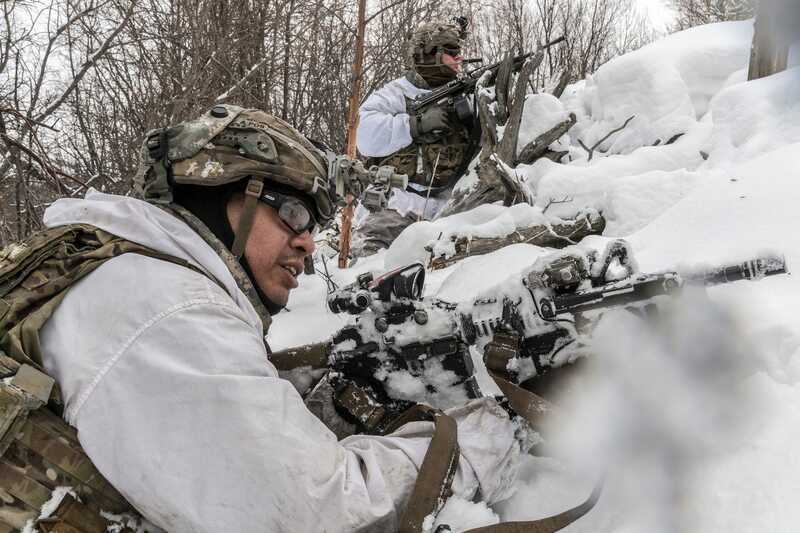 The Army and Marines have rolled out a variety of uniform and gear changes that underscore preparations for cold-weather warfare. 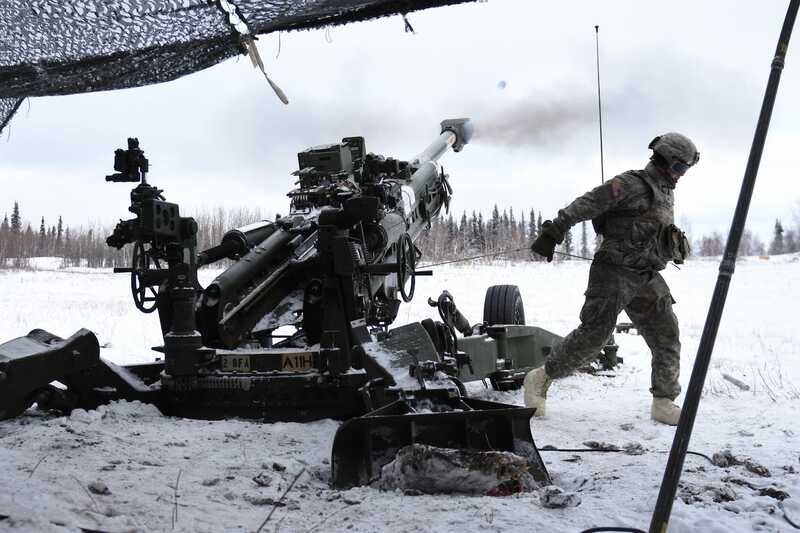 In February and March, more than 1,500 US soldiers, sailors, airmen, and Marines, gathered in Alaska for Arctic Edge 18, “to train military forces to fight and win in the Arctic,” according to Air Force Lt. Gen. Ken Wilsbach, head of Alaskan Command. 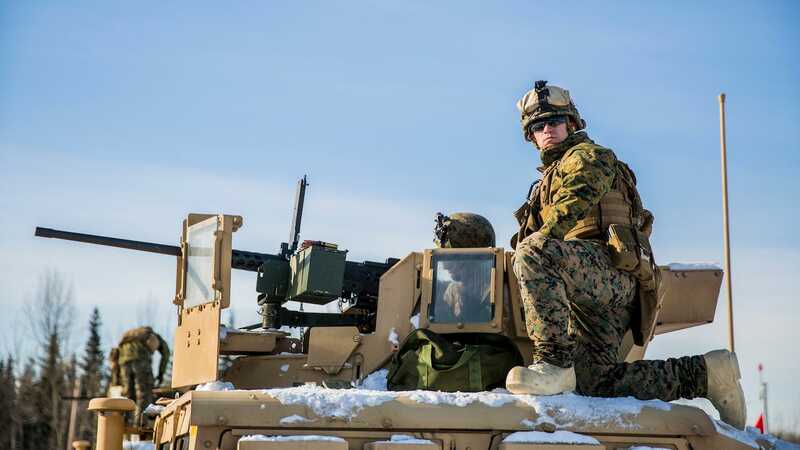 This year’s version of Arctic Edge was the first of its kind in more than three decades and covered more than 1.5 million acres on the ground and 65,000 miles of inland air space. It included a table-top exercise that covered 42,000 nautical square miles in the Gulf of Alaska. After service-specific exercises in February and early March, Arctic Edge 18’s field training ran from March 12 to March 16, with a table-top exercise continuing through March 23. 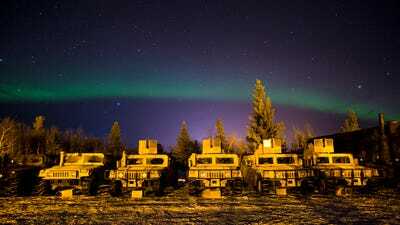 It was conducted mainly at the Joint Pacific Alaska Range Complex and Long-Range Radar System sites. US Marine Corps/Lance Cpl. Cody J. OhiraUS Marines with Alpha Battery, 2nd Low Altitude Air Defence Battalion, fire an M2 .50 cal. 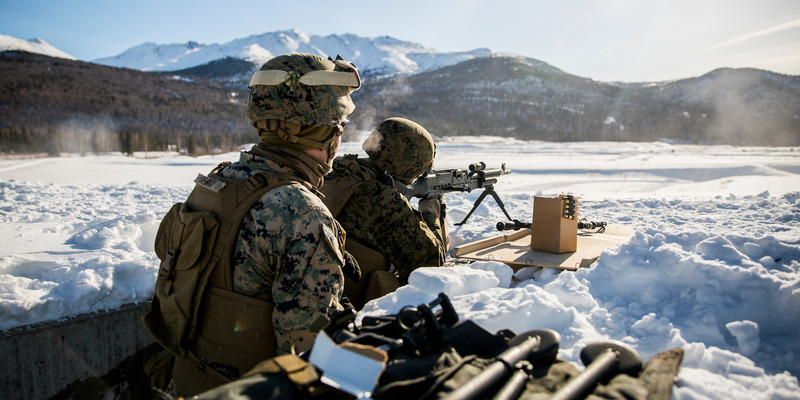 machine gun during a live-fire range as part of exercise Arctic Edge on Joint Base Elmendorf-Richardson, Alaska, March 1, 2018. Arctic Edge is held biennially, and previous iterations focused on supporting civil authorities after a natural disaster. 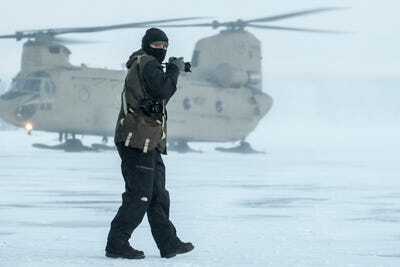 But this year’s version focused on defending the US in the extreme weather conditions found in Arctic environments. US Marine Corps/Lance Cpl. 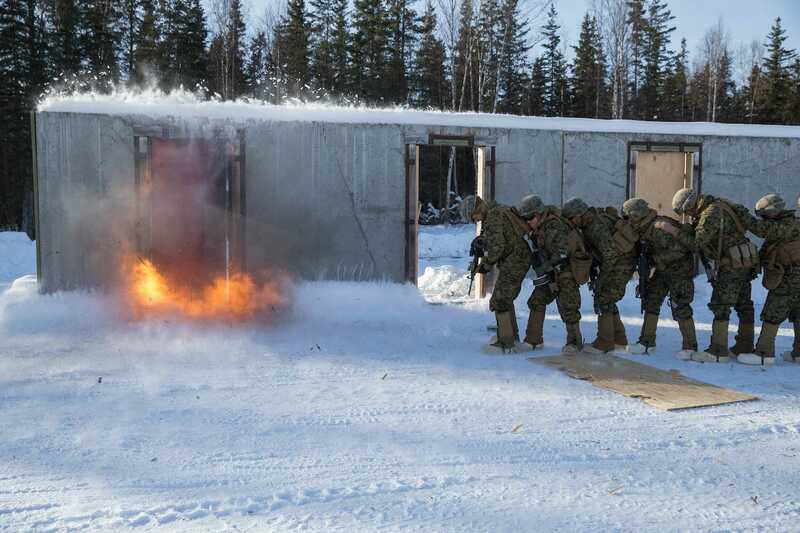 Tanner SeimsUS Marines with Weapons Company, 3rd Battalion, 8th Marine Regiment, 2nd Marine Division brace for an explosion during a breaching exercise on Joint Base Elmendorf-Richardson (JBER), Alaska, March 1, 2018. US Marine Corps/Lance Cpl. Tanner SeimsUS Marines with Kilo Company, 3rd Battalion, 8th Marine Regiment, 2nd Marine Division clear trenches during Infantry Squad Battle Course (ISBC) range on Joint Base Elmendorf-Richardson (JBER), Alaska, March 5, 2018. 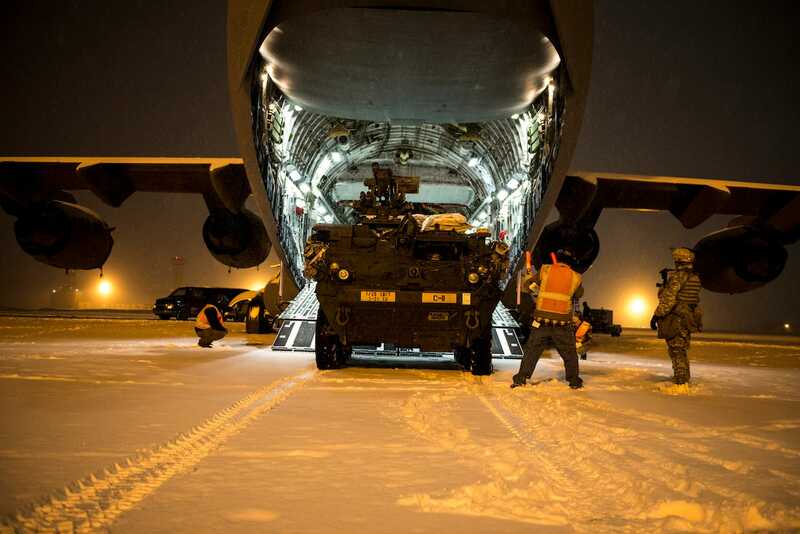 Marine Corps food-service specialists were awake at 4 a.m. to help get Marines going in the harsh environment. 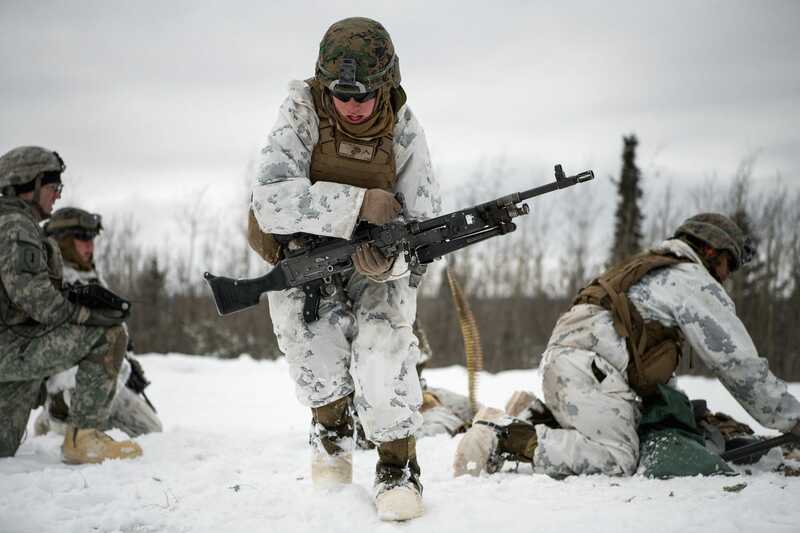 “Things always move a lot slower in the cold, even the food takes longer to cook,” said Lance Cpl. Miguel Rojas. US Marine Corps/Lance Cpl. 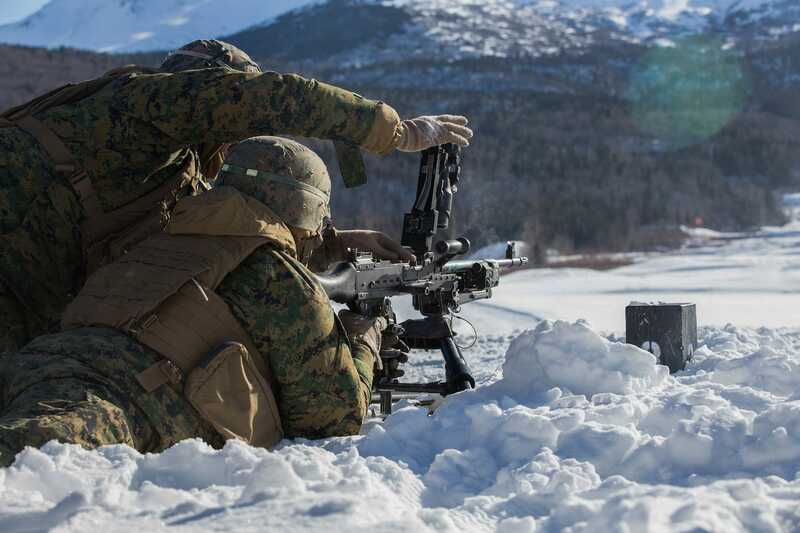 Tanner SeimsUS Marines with Kilo Company, 3rd Battalion, 8th Marine Regiment, 2nd Marine Division (2d MARDIV) reload an M240B Machine Gun during an Infantry Squad Battle Course (ISBC) range on Joint Base Elmendorf-Richardson (JBER), Alaska, March 5. 2018. US Marine Corps/Lance Cpl. 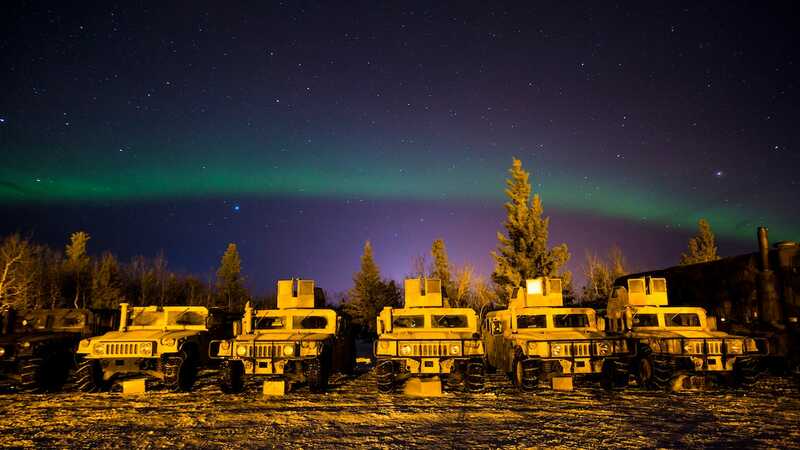 Cody J. OhiraUS Marine Corps Humvees are staged in a motor-pool during exercise Arctic Edge on Joint Base Elmendorf-Richardson, Alaska, March 10, 2018. 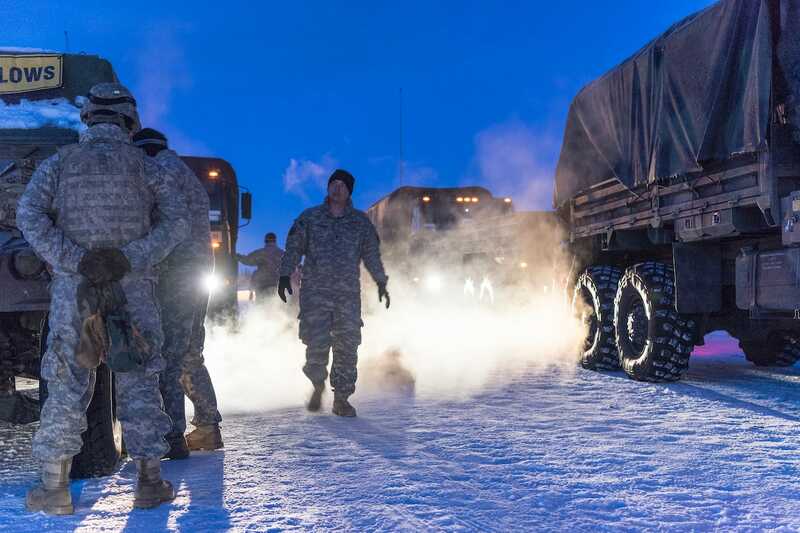 US Army soldiers, like their Marine counterparts, drove and hoofed through Alaskan snow. Their exercises included live-fire drills, as well as survival and manoeuvre training. US Air Force/Tech. Sgt. 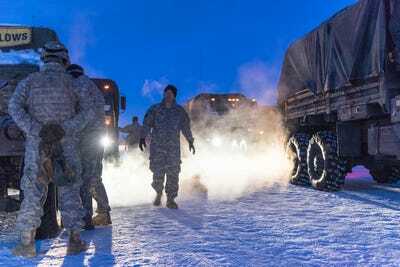 Efren LopezSoldiers from the 2nd Battalion, 8th Field Artillery Regiment, Fort Wainwright, Alaska, prepare for a convoy mission as part of the Joint Force Land Component Command in support of exercise Arctic Edge 18, March 12, 2018. US Air Force/Tech. Sgt. Efren LopezNational Geographic photographer Louie Palu documents the landing of a CH-47 Chinook helicopter from 1st Battalion, 52nd Aviation Regiment, Fort Wainwright, Alaska, during Arctic Edge 18, March 12, 2018. 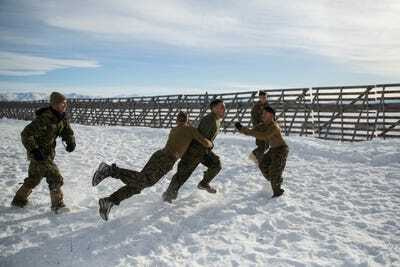 Members of US Special Operations Command North, based in Colorado, also took part. 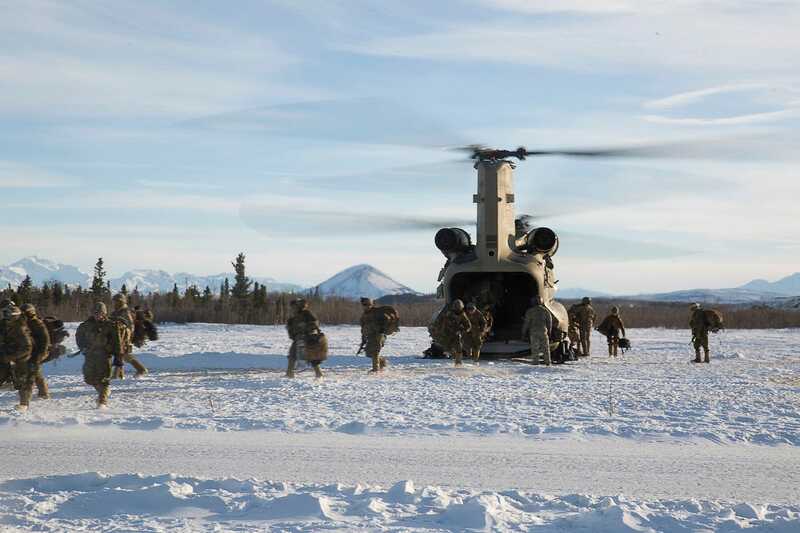 “It’s a chance for us to get up here in these extreme conditions and conduct training to make sure the equipment is working, and we are keeping those skill sets sharp,” said the director of operations for Joint Special Operations Task Force, Alaska. US Marine Corps/Sgt. Brianna GaudiMarines with 3rd Battalion, 6th Marine Regiment disembark an Army CH-47 Chinook helicopter after a simulated raid on Indian Mountain radar system as part of Exercise Arctic Edge 18 at Fort Greely, Alaska, March 12, 2018. 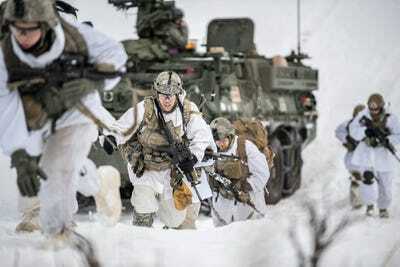 Special operators conducted long-range movements in severe weather and on treacherous terrain with limited visibility. 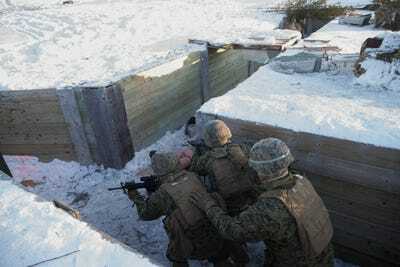 They also carried out long-range ground- and air-infiltration drills, which included equipment air-drops, reconnaissance, and direct-action operations. US Marine Corps/Sgt. Brianna GaudiMarines with Task Force Arctic Edge play football at Fort Greely, Alaska, during Exercise Arctic Edge 18, March 12, 2018. Sgt. 1st Class Joel GibsonSoldiers from 3rd Battalion, 21st Infantry Regiment conduct battle drills in a Stryker armoured vehicle during an arctic deployment as part of the US Army Alaska-led exercise Arctic Edge 18 at Deadhorse, Alaska, March 13, 2018. A Navy captain from Special Operations Command, who could not be identified for security reasons, told the media that the Colorado-based special-operations units also tested communications and survival gear in the Arctic climate, which was the first time such tests had been done. 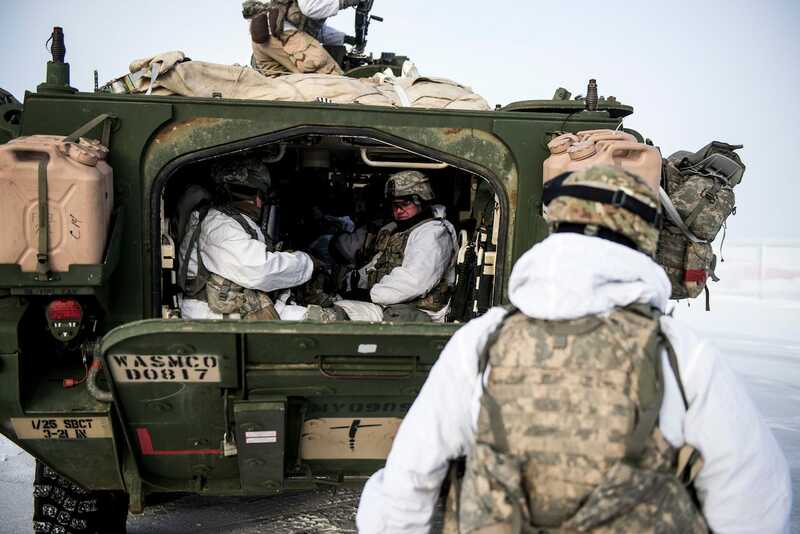 US Air Force/Airman 1st Class Isaac JohnsonUS soldiers from 3rd Battalion, 21st Infantry Regiment guide a Stryker armoured vehicle onto the rear cargo door of a C-17 Globemaster at Joint Base Elmendorf-Richardson, March 13, 2018. Marines, soldiers, sailors, and airmen from both active and reserve components took part, as did civilian employees and contractors from the Defence Department. 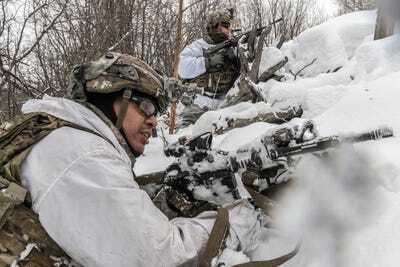 US Air Force/Airman 1st Class Isaac JohnsonUS soldiers from 3rd Battalion, 21st Infantry Regiment provide overwatch during an arctic deployment of Stryker armoured vehicles as part of the US Army Alaska-led Joint Force Land Component Command in support of Alaskan Command’s exercise Arctic Edge 18, March 13, 2018. Naval and Coast Guard representatives toured Coast Guard facilities and cutters and are did a table-top exercise focused on homeland-security threats — and to the risk of mines in US waters in particular. 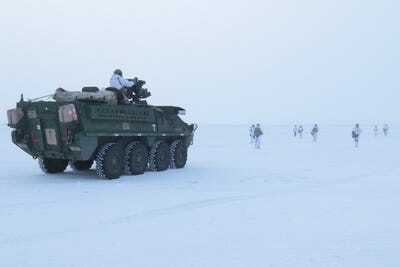 US Air Force/Airman 1st Class Isaac JohnsonUS soldiers from 3rd Battalion, 21st Infantry Regiment in a Stryker armoured vehicle during an arctic deployment at Deadhorse, Alaska, March 13, 2018. Marvin Heinze, deputy director of the Operations and Plans Mine Warfare Task Force, said a goal was to get familiar with other departments and gear. “For the Navy it’s a relatively low-cost way of gaining a lot of knowledge, and hopefully the Coast Guard also,” he said. “It’s actually exceptionally challenging with the topography and the water conditions to actually do things in the water with the tidal exchange and the currents and even above water the weather conditions in February, March, April timeframe,” said Compact Fleet Maritime Homeland Defence Department Detachment Alaska Officer-in-Charge James Thompson, an Alaska native. 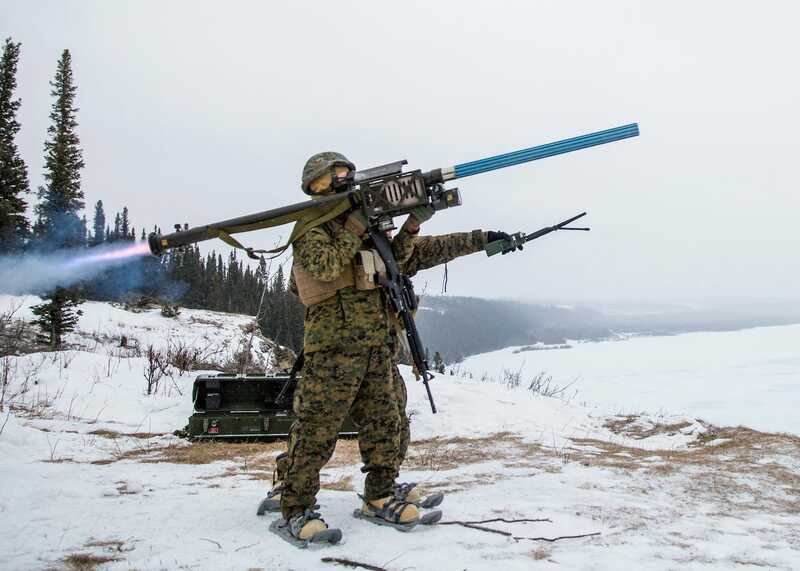 Chief Petty Officer Brandon RaileUS Marines with Kilo Company, 3rd Battalion, 8th Marine Regiment, conduct a Combined Arms Live Fire Exercise, the culminating event of Arctic Edge 2018, at Fort Greely, Alaska, on March 15, 2018. The stated goal of the exercise was to train for homeland defence. 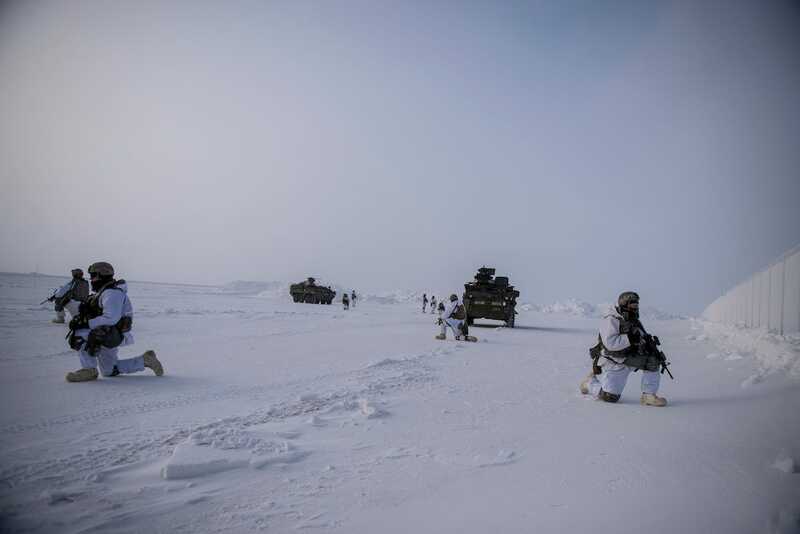 But senior US officials have highlight the growing threat posed by Russia, which has intensified its military activity in the Arctic in recent years. US Air Force/Tech. Sgt. 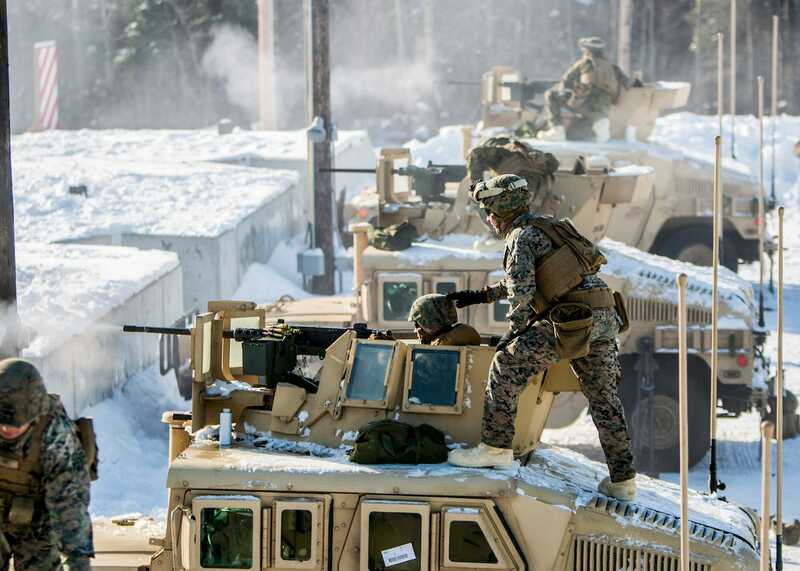 Efren LopezUS soldiers from 3rd Battalion, 21st Infantry Regiment participate in a Combined Arms Live Fire Exercise during an arctic deployment of Stryker armoured vehicles in support of Arctic Edge 18 at Ft. Greely, Alaska, March 15, 2018. Russia’s Arctic buildup could put it in position to control northern sea transit lanes “in some time, perhaps two to three years … if they chose to do so,” US Army Gen. Curtis Scaparrotti, the head of US European Command and NATO Supreme Allied Command, told US lawmakers in early March. “We are not keeping pace,” he said. US Air Force/Tech. Sgt. Efren LopezUS soldiers from 3rd Battalion, 21st Infantry Regiment participate in a Combined Arms Live Fire Exercise during an arctic deployment of Stryker armoured vehicles as part of Arctic Edge 18 at Ft. Greely, Alaska, March 15, 2018. US Navy/Mass Comm. Specialist 1st Class Kiona MillerA soldier from 1st Stryker Brigade Combat Team, 25th Infantry Division, 2nd Battalion, 8th Field Artillery Regiment fires a M777 155mm Howitzer during a live-fire training exercise at Fort Greely, Alaska, during Arctic Edge 18, March 15, 2018.